Preschoolers will have the chance to do some hand on science exploration and even meet live turtles tomorrow at the Harris Nature Center. 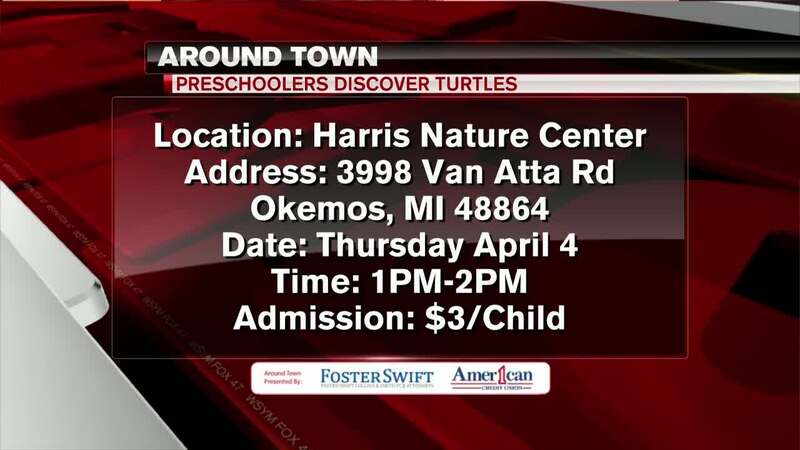 OKEMOS, Mich. — Preschoolers will have the chance to do some hand on science exploration and even meet live turtles tomorrow at the Harris Nature Center. The event is called "Preschoolers Discover Turtles". It's designed for children ages 4 and 5. The cost is $3 per child. The event runs from 1 to 2 pm tomorrow arfternoon.